AirPart GmbH was founded in the year 2000 and is a subsidiary, of which 100% is owned by Flughafen Nürnberg GmbH. Our services comprise the whole spectrum of ground handling services. Our excellently trained staff will support you 24 hours per day in ramp handling, passengers services, operations, cargo handling or general aviation. In 2002 AirPart was the first handling agent in Germany to obtain the IATA AHM 804 Certificate. In this respect quality agreements with our customers can be defined and implemented. Since 2003 AirPart is the distribution partner of AHS. We regard this stake in one of the biggest German handling companies as a decisive step in terms of customer service. Via our partner AHS we are now able to conclude supra-regional handling contracts. Your passengers are our passengers. 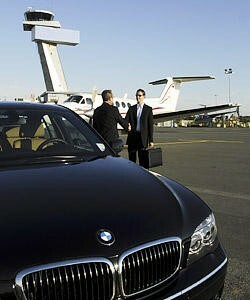 We take care of your passengers from the check-in process to the boarding. Our professionally trained staff supports the passengers in all matters, for business or tourist trips, in the lounge as well as with our VIP-service. Also in case of delays or lost baggage, we assist your clients after the arrival as well! You will receive quality – from the landing to the take-off. Our highly qualified team offers flexibility and on time performance for all fields of ground handling. We are the right choice for aircraft cleaning, loading services and passenger transport. Our competence in the field of cargo handling is emphasized by the high satisfaction of the integrators DHL and TNT, who operate regular flights to NUE. Furthermore, the express service providers TNT and UPS conducted audits as to the aircraft handling, which were excellently evaluated. With us you can simply take off any time. Since the opening of Cargo Center I in 1987 and Cargo Center II in autumn of the year 2003, which was designed according to the latest standards, there are approximately 14,000 square meters storage space and 7,000 square meters office space available. The GAT offers besides comprehensive services for pilots and passengers of the general aviation also exclusive VIP- packages. We do not only offer excellent support for your aircraft but also many different services for you. Aircraft handling – When you depart or arrive at our airport, we will of course take care of your aircraft. In our GAT-terminal you will find a lounge with TV and internet access. For a little snack in between we offer you coffee as well as a little assortment of finger-food. Entry with your own vehicle for the transport from and to the aircraft is possible on request. All offered services are also available beyond our opening hours for an additional charge. The General Aviation Terminal (GAT) at Nuremberg Airport offers the following services for departing and arriving pilots.